TechCrunch is partnering with ELEVACAO to bring the Startup Battlefield pitch-off competition to Australia. 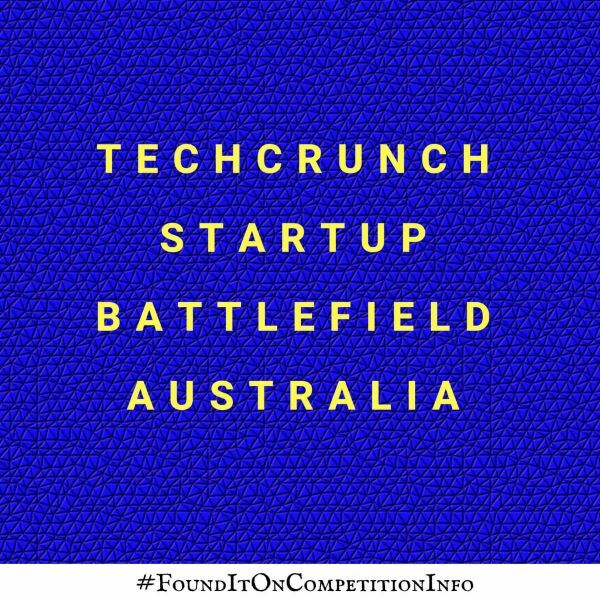 They are looking for the most disruptive early stage pre-launch startups to launch on the Battlefield stage in Sydney. - $25,000 Australian dollars equity-free cash. - An all-expense paid trip to San Francisco to compete in Battlefield at TechCrunch’s flagship event, Disrupt SF 2018 (assuming that the start-up still qualifies under Battlefield rules. If not, then TechCrunch will provide free exhibit space for the start-up at the show). - Immense press, investor and partner attention. There will be a reception at the end of the pitch-off, where each company will have room to exhibit and talk 1:1 with pitch-off attendees. All companies will be notified about the outcome of their application approximately one month after the deadline.